But recently they launched Gitea (a patch friendly Gogs fork), written in Go (really fast, low on resources), very nice UI. With Gitlab covering all your needs... what is Gitea good for? Since Internet (or company network) is not always at my reach, I have one strong use case for a small personal Git service, with a beautiful commit history empowered with issues, labels, milestones, all the good stuff. This is 2017, tracking issues and features with TODO.txt is not fun anymore. I'm now running Gitea on my laptop, it goes with me everywhere. No connection at home? It's okay, carry on. On vacations far away without any connectivity? It's okay, keep coding. Shipwreck on a desert island? It's okay, just fix the bug and eat bananas. I hope the devs keep it small and light, there's no competition in this niche and they're doing an amazing job. There are several tutorials about installing Gitea, mix these with a local alias on /etc/hosts and you're good to go. I'm using git.local as my personal URL, so my git remotes look like https://git.local:3000/xr09/project.git. 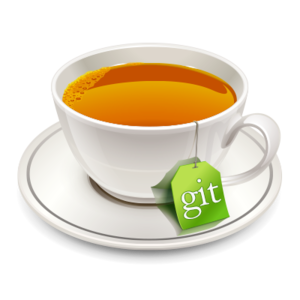 This is my app.ini, you can use to tweak your own Gitea. This works for Debian/Ubuntu and other distros with minor tweaks. This is a small post but totally worth it. Just wanted to point out I've finally found the ultimate meta language for managing iptables: ferm. So, today at work we had to download the brand new Ubuntu 14.04, there are two options to do it: apt-mirror and debmirror.